When I was in elementary school, like most kids, we exchanged Valentines on the big day. This mostly meant that our Mothers would go to K-Mart and buy a package of Valentine cards with our favorite TV or cartoon character on the front that was usually accompanied by a clever message to your classmate and usually included a special card for your teacher. These school parties were mostly uneventful. We would exchange our store bought novelty cards, have a couple cupcakes and maybe one of those candy hearts and then clown around until it was time to hop on the bus and head home. Unfortunately one of those parties sticks in my brain with the glue of heartache and rejection. As was the custom my mother bought me my package of novelty Valentines to handout to my classmates. 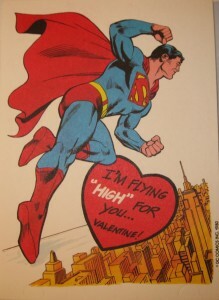 That year I decided to go with the Superman and the Super Friends cards. The night before I took the time and addressed all of little envelopes that came with the cards and signed each and every one. The next day I put the cards in my backpack and headed to school. After lunch the festivities started. The teacher had us all make a special customized lunch bag to put on our desks that would serve as a mailbox for all of the Valentines from our classmates. After some cupcakes and other assorted candies we all got up and wandered the class dropping our cards in each others bags. After every card was distributed we headed back to our desks and went through all the cards hoping to find a special message from our favorite guy or gal. 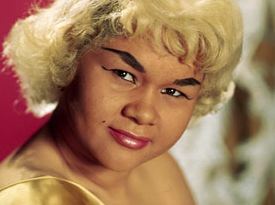 Unfortunately, no one had proclaimed their love for me on this day. I finished up my strawberry cupcake and cup of Hi-C, which was poured out of those giant cans that you had to open on both sides, and headed to the local trash can to unload my wrappers. When I got to the trash can my heart sank. 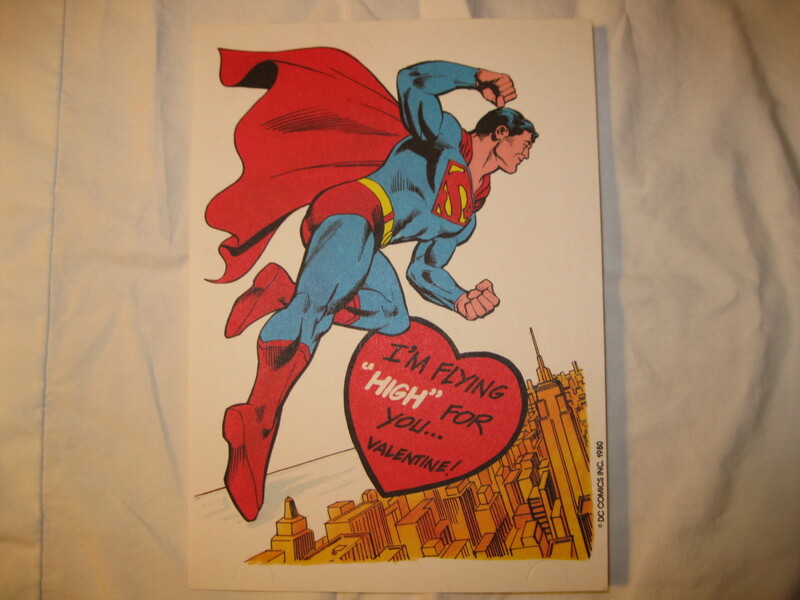 Inside were a pile of Valentines with the Man Of Steel and the Caped Crusader on the front and my hand written signature. It seemed as if at least half the class decided my cards were not worth taking home. Instead the class, one by one, marched to the trash can and threw my cards in the can along with the empty cups and cupcake wrappers. I slowly walked back to my desk as a lone tear dropped from my eye. Little did I know that this would be the start of years of various rejections and humiliations from mere strangers that were vaguely aware of my existence. Happy Valentine’s Day Everyone!